Tyler Naquin has accomplished a lot this spring. From the looks of it, he's not done yet. The Indians' No. 9 prospect launched a pair of solo homers as Cleveland beat Kansas City, 7-6, on Wednesday. 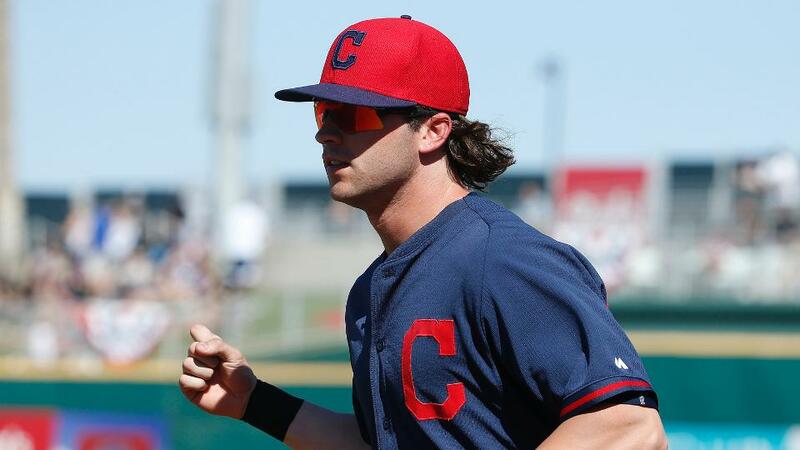 Starting the game in center field, Naquin hit his first homer of the spring over the fence in right-center field against Kris Medlen in the second inning. The 24-year-old outfielder struck again in the same place against Medlen two innings later and finished off his night by doubling and scoring in the sixth. Despite having played 50 only games above the Double-A level, Naquin is in the running for the starting job in center field, with Wednesday's game only strengthening his case. The Texas native is batting .447 with nine runs scored and eight extra-base hits in 38 Spring Training at-bats. Naquin enjoyed a solid 2015, compiling a .300/.381/.446 slash line in 84 Minor League games between Double-A Akron and Triple-A Columbus. The 2012 first-round pick missed the last 10 weeks of 2014 and the beginning of 2015 after fracturing his right hand.